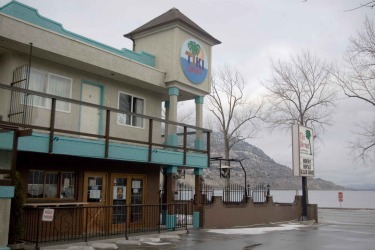 A rare opportunity to own a restaurant site across from Penticton's lakefront beaches on Lakeshore Drive, just east of Salty's Beach House. Strata space in the Tiki Shores, available May 1. Interior is 872 sq. ft., additional dedicated patio area is 1432 sq. ft. Combined space is licenced for 50 patrons. Equipment included, see LB for list. Has been leased for the last two years and operated as a fish and chip shop. Business is not for sale. Seller may finance with sizable down payment.